Looking for Ash & Dash? Click here. Come join us as we celebrate the resurrection of Jesus Christ! All are welcome, period. We offer multiple services and times to accommodate your schedule. You’ll find activities for children, youth-led services, concerts, drama, and more during Holy Week. Let’s honor our Lord and Savior together. We look forward to seeing you! 8 a.m.; 11 a.m.* — Traditional worship by Pastor Greg Weeks. Sermon: JESUS: Threatening the Powerful. Our need for security can drive us to be angry at people who seem to threaten it. But, we to take a stand for compassion instead. 9:30 a.m.* — Modern Worship by Pastor Greg Weeks. 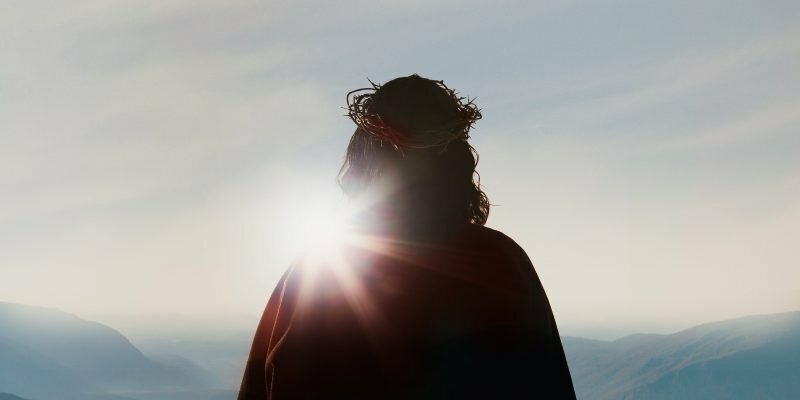 Sermon: JESUS: Threatening the Powerful. Our need for security can drive us to be angry at people who seem to threaten it. But, we need to take a stand for compassion instead. 7:00 p.m. — Mary Lou Adams Legacy Masterworks Concert: Requiem by Gabriel Faure. Collaborating on this great evening of music will be the Lindenwood University Concert Choir. 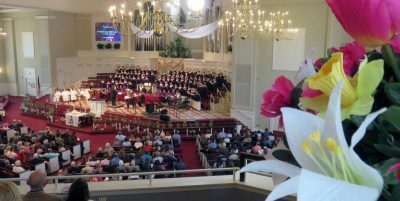 Pam Grooms, conductor; Kevin McBeth, conductor. Sunday, April 14-Saturday, April 20, 9 a.m. – 5 p.m.
Local artists present poignant interpretations of the ‘Stations of the Cross.’ Walk through, remember, pray, and experience Jesus’ marathon of suffering and ultimate death. Open to the public. No charge. 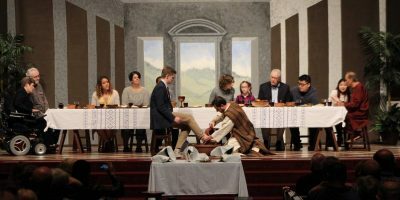 A Place at the Table, including a message by Pastor Greg Weeks incorporating drama and music. Holy Communion served; optional foot/hand washing. Contemplative service of prayer around the cross. Music provided by the Coventry Choir. Through prayer, music and message, we will begin with Maundy Thursday and Holy Communion, move into the darkness of Good Friday, the unknown of Holy Saturday, and on to the light and celebration of Easter Sunday. Please note: there is no Children’s Sunday school on Easter Sunday.